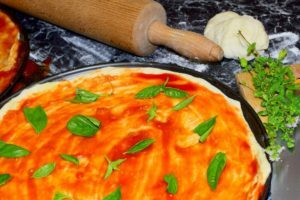 Pizza Sauce Vs Pasta Sauce: What’s The Difference? Some people think that when making a pizza that they can just use any old sauce, as long as it is made with tomatoes. Yes, this is true, to a point, as long as you aren’t fussy about your sauce. But, there are some pizza connoisseurs out there who must have a specific flavor for their sauces. Some people prefer specific brands, while others prefer to make their own sauces for their pizzas. But, just so you know, are some major differences between regular pizza sauce and spaghetti sauce. For starters, most pizzerias use marinara sauce for their pizzas rather than spaghetti sauce. This is true even if they have spaghetti and other pasta dishes on the menu. They are two completely different kinds of sauces, and the marinara sauce just seems to work better for pizza, for a number of reasons. Let’s take a look at the biggest differences between pizza sauce vs pasta sauce, and you can see why marinara is usually the better choice to use as pizza sauce. First, we need to talk about what Italian food really is. The Italian food we eat here in North America is technically not “real” Italian food. Real Italian meals aren’t likely to be found in most North American restaurants. In fact, you are likely only going to find these dishes in Italy, or in an Italian’s own kitchen. 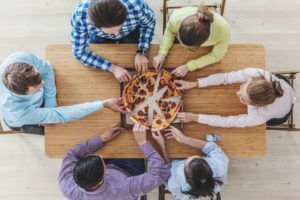 The meals we know as Italian food, including pasta and pizza, are Americanized versions of Italian dishes, but definitely not the real thing. In most cases, real Italian food is made with fresh ingredients, and spaghetti sauces are the pride of each household, with every cook claiming that theirs is the absolute best in all of Italy. One of the most important ingredients in Italian-American cooking is marinara sauce. Did you notice we said marinara sauce and not spaghetti sauce? 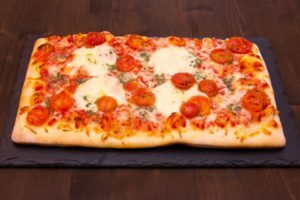 This is because marinara sauce is actually a lot easier to prepare, and it tends to be a lot more versatile, which is why it is a popular choice for many pizzerias. So, what exactly is marinara sauce? It is a tomato-based sauce that originally was meant to be used for seafood, and comes from the word “mariner.” Today, marinara sauce is different than the original sauce used for fish, and it is a tomato sauce that is used for a lot of pasta dishes, and for pizza. If you were to look at real Italian marinara sauce, you would notice that it is a bit on the thin side. American marinara sauce is a bit thicker, and ideal for spreading on top of pizza dough. 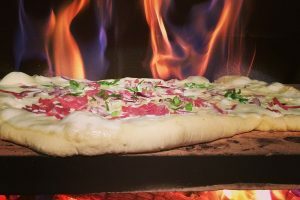 It doesn’t have an overpowering flavor, so the flavor of your favorite pizza toppings can really stand out, while you still get that tomato flavor. So, let’s take a few minutes to talk about spaghetti sauce, and why it isn’t the best choice to use on pizza. 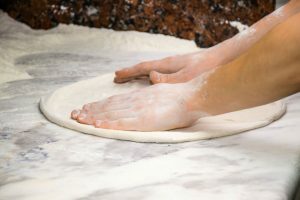 For starters, a lot more work goes into preparing spaghetti sauce, and if you want pizza in a hurry, you can just hurry up and wait until the sauce is ready. This is because the flavors need to be cooked into the sauce, and often, meat is used in the sauce, so it needs time to cook thoroughly. Many people use their slow cookers when making spaghetti sauce, and they also use a canning process so the sauce can sit for several days to several weeks before being used, so the flavors can really set in. Spaghetti sauce is a lot thicker than the marinara sauce you would normally use on a pizza, because it has a lot of chunks of meat and vegetables in it. 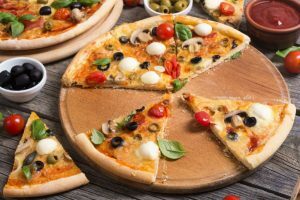 Since pizza toppings tend to be best when placed on top of the cheese, using a sauce that is loaded with toppings doesn’t seem to make a whole lot of sense, and it can change the whole flavor and texture of the pizza. Stick with marinara sauce, and you really can’t go wrong. 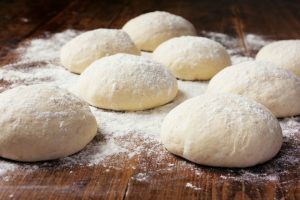 Now we are really going to get into the differences between pizza sauce and spaghetti sauce, and you will see why one really is better for pasta and the other is best for pizza. First, there are actually many different kinds of spaghetti sauce, including Alfredo and Bolognese, both of which would not be suitable for pizzas (unless you are a foodie and like that sort of thing). Spaghetti sauce has a much meatier flavor than pizza sauce. This is great for pasta dishes, when you want that type of flavor to stand out. 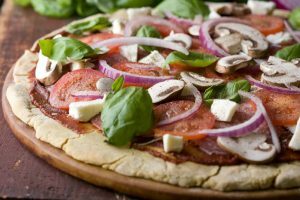 But with pizza, you want the flavors of your toppings to stand out, and not be overpowered by the sauce, which is why marinara sauce is usually the preferred option. Marinara sauce will let the other flavors shine through. As we already noted, spaghetti sauce tends to be a lot thicker than marinara. 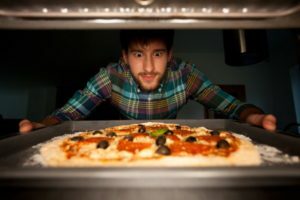 Yes, you want to have your sauce somewhat thick for pizzas, but you don’t want it so thick that it is nothing but a layer of meaty sauce beneath the cheese. 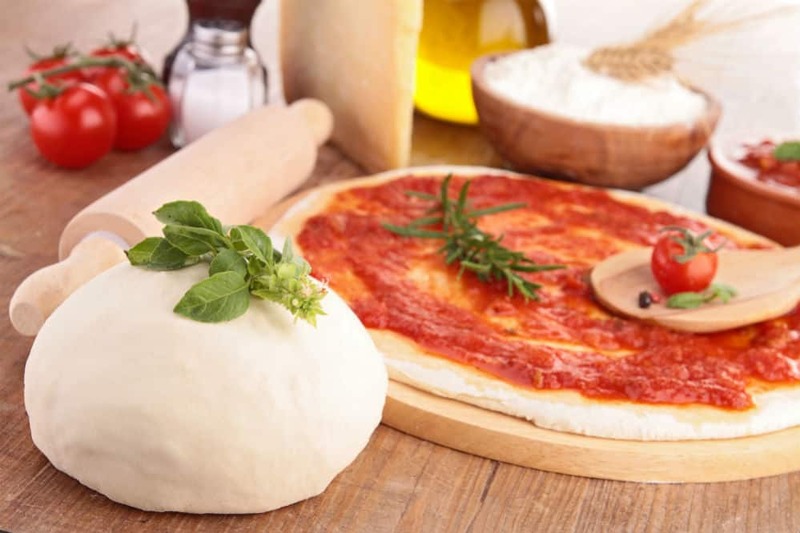 Marinara is the better choice for pizzas, and if it is too thin, you can thicken it up with a bit of tomato paste. As you can see, there are some significant differences between pizza sauce (marinara sauce) and spaghetti sauce. Sure, you can use any tomato-based sauce to make pizza, but if you want the best flavors and texture, marinara is the best choice, hands down. You should only use spaghetti sauce on pizza if you are really in a pinch.